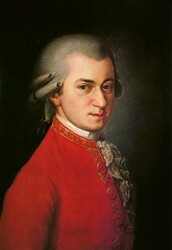 Mozart was known for being a musical prodigy. He started making musical pieces when he was five. He was five when he made his first piece of music. He was born in Salzbug in Austria on January 27, 1756 and died December 5, 1791 at the age of 35. He died from a bad sickness while his wife was away. She kept this a secret for awhile about her husbands death. Mozart had two kids and two that sadly died at an early age. He was rich at one point in his 20's, but he did not spend his money wisely and ended up not being able to provide for his family. He had to borrow money from people and died before he could even pay it back. 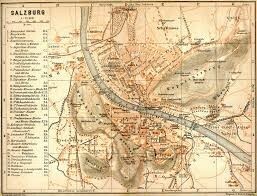 He lived in Salzburg, but traveled around Europe. Mozart lived in Europe with his sister, mother,and father. Later on in his childhood he traveled with his sister around Europe showing his talent to royals and other important people. This is Mozart's take on "Twinkle Twinkle Little Star". This piece became very popular. This is now played on the piano. It was one of the 600 pieces he made before he died. This is now played by many people. Mozart had many musical pieces. In fact he had made 600 pieces of music since the young age of 5 until his death, at also a young age of 35. Some other examples are, " Jupiter" written in 1788, and he also made 19 pieces of music for the church called motets. Mozart was very talented when it came to music. Since he started learning music at such a young age he never learned anything else. He came to a point when the only thing he was ever taught and ever knew was music. His dad always pushed him to be the best at music and he was, but since he had no other knowledge he did not know how to spend money and that is how he got poor even after being rich.